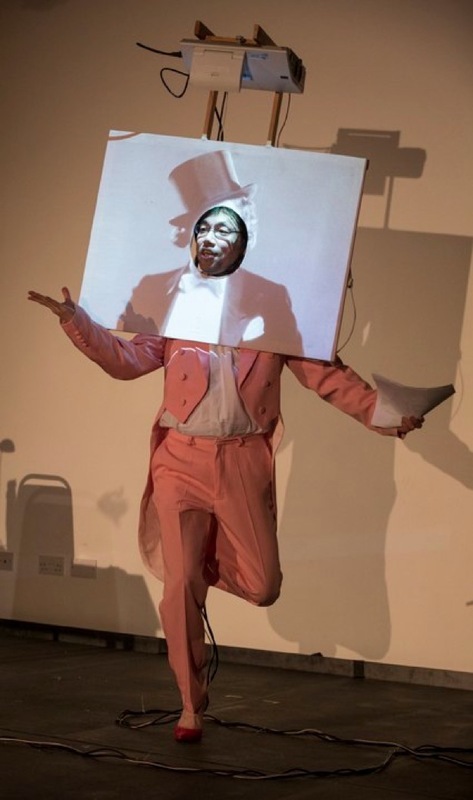 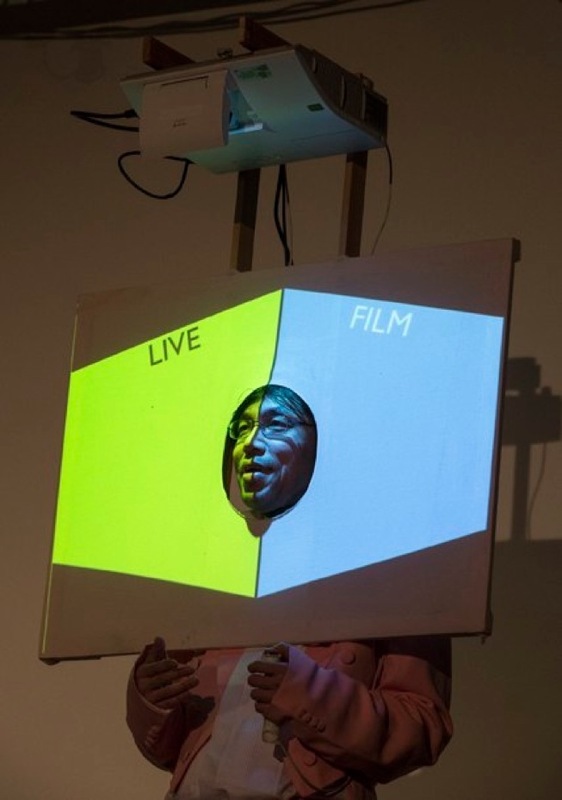 Sporting a projector and a screen around his head, Mamoru Iriguchi turns himself into a mobile cinema. 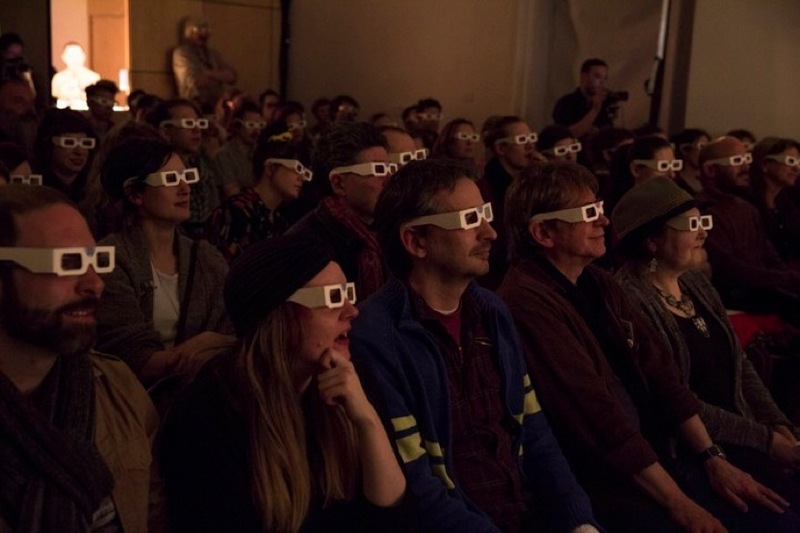 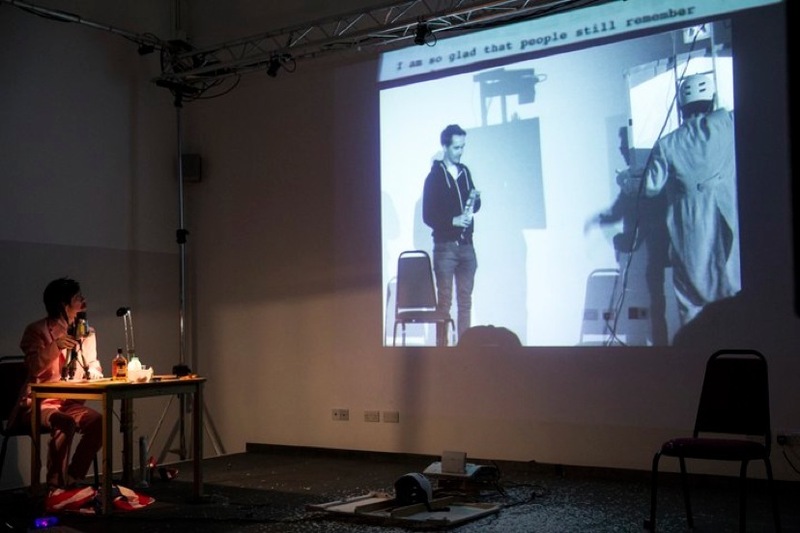 4D Cinema is a performance piece that explores what is live and what is recorded and fixed eternally on film. 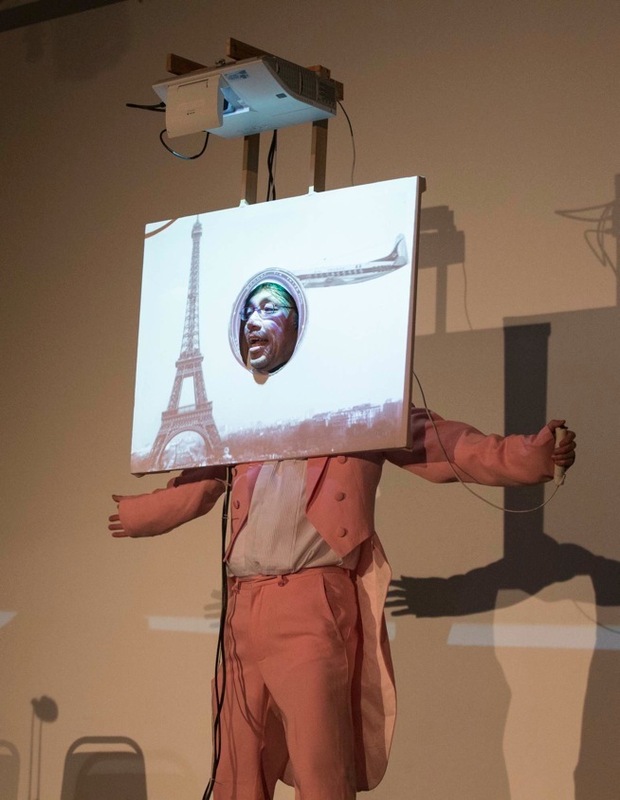 What they mean to us in this day and age where new technology blurs actual and virtual realities.